Gino Campodonico, Netty Del, Juanjose Rangel,Rachael Russell, Jhon Jairo Santos and Jasmine Stewart are welcoming high end luxury brand Ted Baker London to Miami Beach on Thursday, January 15 at 7:00 p.m. Expect vintage cocktails by the master mixologists at Zacapa accompanied by a special performance by The French Horn. Illustrator Mia Mandela will be on-hand to customizing Ted Baker totes! This is a private event, RSVP required. 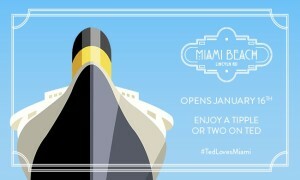 The public is free to join in on the celebration this weekend for the #TedLovesMiami grand opening on Friday and Saturday, January 16 and 17! 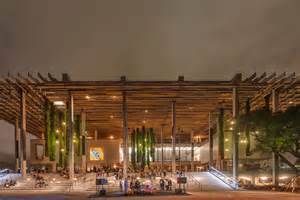 This year Pérez Art Museum Miami will put a contemporary spin on a classic tradition with a ‘modern gala’ on Thursday, January 17. Art of the Party Presented by Louis Vuitton will debut a contemporary spin on a classic tradition with help from event mastermind Lee Brian Schrager. Taking the place of the annual Ball, this unforgettable celebration will allow guests to choose from a Chef’s Table seated dinner or the lively Supper Club dinner lounge; attendees will then reconvene for a live outdoor concert. The proceeds from the evening’s ticket sales fund the museum’s robust education program, which is the largest behind the Miami-Dade County school system and has garnered participation from more than 80,000 adults and children since December 2013. For more information visit: www.pamm.org. 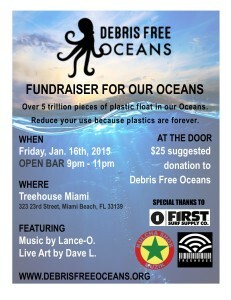 Debris Free Oceans is thrilled to announce the launch of their presence in Miami by hosting a cocktail soiree on Friday, January 16, at Treehouse. The Miami-based non-profit organization to inspires local communities to responsibly manage the lifecycle of plastics and waste as part of a global initiative to eradicate marine debris from beaches, reefs and oceans. Suggested donations of $25 will be received at the door which includes an open bar from 9:00 to 11:00 p.m. Guests will enjoy a live art installation by Dave L – a local Miami artist whose work reflects the ocean and nature and music by Lance-O from Kulcha Shok Muzik. The event will also feature a silent auction with items including: paddle board lessons courtesy of First Paddle Co., art work by Dave L, gift certificates from First Surf Shop, and much more. All guests must be 21+ to attend the event. The Miami Symphony Orchestra (MISO), under the baton of Music Director and Conductor Eduardo Marturet, presents the popular returning concert series “Ocean Drive in Vienna,” introducing the world premiere of “Concertino for Toy Piano” written by MISO Principal Trumpet and Composer-in-Residence, Sam Hyken. This new work highlights the musical talent of pianist Julia Bueno, a spirited young ten-year-old musician who started taking group piano classes at the SharpMinds Academy in Miami at age five. An avid composer, Bueno has already won First Prize of her age group in the Composition Contest at the MMTA Honors Recital, crediting her inspiration to history, creative writing and robotics. Included on this year’s program is another world premiere by MISO Composer-in-Residence Paul Desenne entitled “Blues’n Danube,” a clever twist on the well-known waltz by Johann Strauss, Jr., as well as a South Florida premiere of “Sobre las Olas,” written by Justino Rosas. Salsa legend Oscar D’ León and Cuban-born journalist Ismael Cala from CNN Español will also make an appearance, combining elements of Viennese classical music with the nuances of Latin rhythms. Sponsored by the John S. and James L. Knight Foundation’s Knight Arts Challenge, recognizing the importance of MISO’s Composers-in-Residence program, MISO’s role as Miami’s hometown orchestra is to continually celebrate the cultural vibrancy of South Florida by being Miami’s distinctive musical voice. 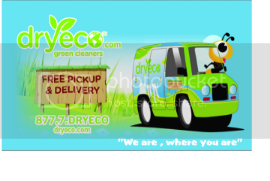 For more information, call 305 275.5666 or visit www.themiso.org. Voices For Children Foundation, a Miami not-for-profit organization advocating for children in foster care, and Presenting Sponsor Harry Winston, Inc., the international fine jeweler and watchmaker, will serve as hosts to approximately 500 of Miami’s most influential and philanthropic individuals for the organization’s 30th anniversary “Be A Voice, Feel The Passion” gala. 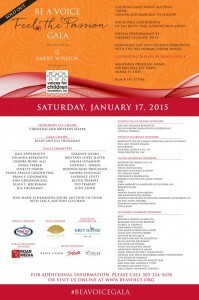 The event will kick off with a cocktail hour at 7:00 p.m. Saturday, January 17, at host sponsor Mandarin Oriental. At this premier annual fundraising event, film and television actor Christian Slater and his wife Brittany Slater will serve as honorary co-chairs, while radio personality Paul Castronovo of local radio station BIG 105.9’s “Paul and Young Ron Show” will serve as emcee. Guests may participate in live and silent auctions for luxury goods and travel experiences, providing desirable and unique items for guests and supporters. Up for auction are tickets to Stella McCartney’s Spring 2016 Presentation in New York, exclusive membership to The Edition Beach Club, the opportunity to drive a Tesla Model S for a day, and a private shopping spree at Ralph Lauren Bal Harbour. This year, the gala will partner with RedCap to provide guests safe rides to and from the events in the guests’ own cars. To learn more about underwriting opportunities and sponsorships, or to purchase a table or tickets to the event, call 786.469.3857 or emailRAmador@BeAVoice.org. In preparation for the upcoming 2015 Miami Marathon on Sunday, January 25, Scarpetta, Fontainebleau Miami Beach’s AAA four diamondaward-winning Italian eatery, will once again offer marathon runners a special $39 “Carb-Up” prix-fixe menu. This year, the menu is available early and late night on Friday, January 23 from 6:00 to 7:00 p.m. and again from 10:00 p.m. until midnight,as well as on Saturday, January 24 from 6:00 to 7:00 p.m. The three–course menu is a delicious way to power up before the big run, specially crafted to ensure runners’ muscles are fueled and energy levels are up for optimal performance. 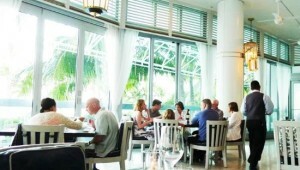 Reservations are required; for more information visit: fontainebleau.com/miamimarathon.